Many smart locks in the market today are unlocked with fingerprint or digital password; some smart door locks are unlocked via WiFi. However, above unlocking ways still have potential security risks. For example, it is very easy to be attacked by hackers, fingerprints can be easily stolen, and so on. So for the sake of security, many people have begun to choose smart locks with Bluetooth wireless technology. 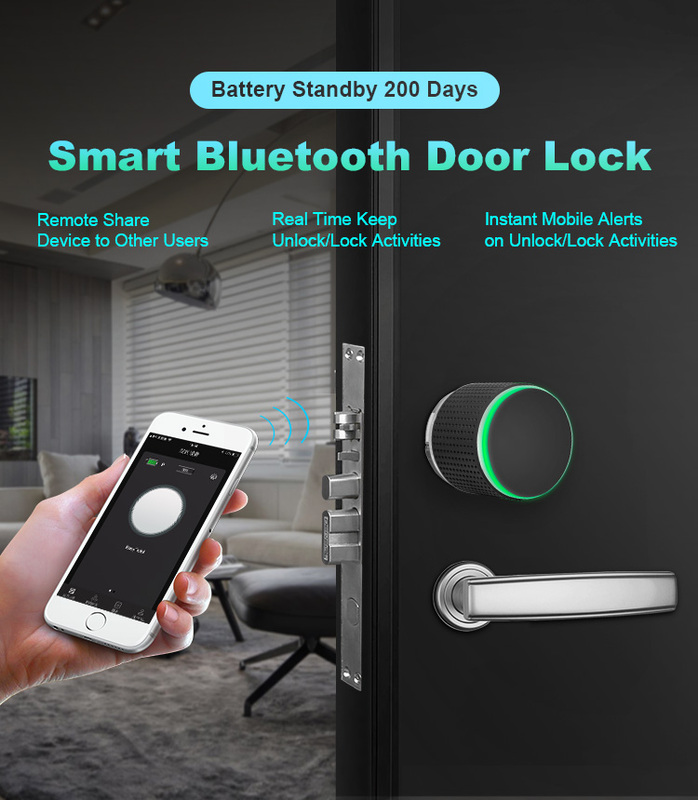 Bluetooth door lock unlocks by Bluetooth wireless transmission technology. When unlocking is done, it needs to initiate Bluetooth mobile on phone. When an user a Bluetooth lock on APP, Bluetooth connection is also required for related operations. Generally speaking, Bluetooth is limited on transmission distance, so unlock & unlock need to be carried out near the lock. During operation, pairing can be done between smart phone and door lock via Bluetooth transmission. Unlocked is done on Bluetooth door lock via APP, which is provided by suppliers. After Bluetooth is turned on, we need to add the Bluetooth lock through the APP on the mobile phone. After device is added, we enter the APP, then click the icon on the APP to unlock or lock.